Advertising is a costly, high-stakes venture. Great ads boost your brand, garner interest in your products, and generate revenue. Terrible ads not only fail to deliver against your investment, they can cause your brand irreparable harm. It’s easy to get advertising wrong; ad testing helps you get it right. Ad testing is simply the process of vetting your ad concepts with a representative sample of your market. You can test a complete ad, or even portions of your ad to make sure you get the most bang for your advertising buck. Ad testing has several tangible benefits. Consistent pre-testing improves an ad’s effectiveness by at least 20%, according to Millward Brown. Not only that, an ad’s content and creativity influenced profits four times more than media placement alone, according to research in AdMap. In addition to increased ROI, ad testing can help make sure your advertisement resonates with your target audience, leading to better conversion rates and helping to cement your brand and boost the positive associations that come with it. The first step to testing your ads is coming up with great concepts, but crafting the perfect ad can be a daunting task. The following guidelines can help you lay the foundation for a great ad. Focus on what makes you different. Showcase your value and uniqueness in your ad to stand apart from other ads and your competition. Include a clear call to action. Your ad should have a purpose, whether that’s driving traffic to your website, learning more about your products and solutions,or a direct sale. Make your call to action clear and unmistakable. Design visually interesting ads. Interesting images will capture attention, increasing the likelihood of customers engaging with your ad. Keep your message clear. Including a clear, simple message helps you better communicate your ideas and engage with your audience. Understand international nuances. To help your ad land, be cognizant of language differences. In software, your call to action might be “Request Demo” in the United States, but “Book Demo” in Australia. Use the wisdom of the crowd. Coming up with 20 amazing ideas on your own is daunting. If you don’t have an in-house agency or creative team, spread the creative burden across your organization by asking each person to come up with a few ideas. You’ll find hidden gems. Know your audience. The way you would engage with your customers may be different. For B2B, you may lead with an emotional appeal for executives, but lead with a more data, outcomes-focused appeal for practitioners. Assuming you know your market. The way marketing teams talk about products or solutions may not match the way customer talk about your products and services. This is one of the most important reasons to validate your ads before launching. You may even consider some preliminary research to better understand your market when designing ads. Using language that is too salesy. Enticing your market to engage with your ad is the goal, but using language that is too pushy may turn off potential customers. Designing distracting ads. There’s a fine line between catching someone’s eye and being over the top. Always go for being clear over clever. Sending mixed call-to-action signals. Best practice is to use a single call to action like, learn more, or book now. When you give multiple calls to action, your consumer may not know what to do and disengage with your ad. Not connecting your ad with your brand. You want to ensure that your consumers can identify your ad with your brand – it’s not uncommon for consumers to see an ad and associate it with your competitors, so make sure you’re not spending your ad budget giving them a boost. One mattress company, for example, realized that they neglected to mention their company name during the first 30 seconds of their ad. A simple script change massively improved their ad’s effectiveness. First things first: What do you want your ad to achieve? Is it raising awareness of a new product? Driving more sales of an existing product? Promoting your brand? To test your ad’s performance, you first need to have a clear picture of what success will look like. Pre-testing ad concepts can help you make sure your campaign starts on the right note and avoid costly pitfalls. In-flight monitoring of a campaign shows you the performance arc across its lifecycle, helping you pinpoint where conversions occurred and how sentiment and purchase decisions evolve over time in response to your ad. To test an ad concept, you should work with a pre-selected segment of your audience that represents the target group for the campaign. For example, people in a particular age group, those in specific job roles, or a combination of qualifying criteria. This group can then be surveyed to see how they respond to different versions of an ad, or different ad concepts. There are several different ways to test your ads. Two of the most common methodologies are single ad test (monadic) and the multiple ad test (sequential monadic). Each method has tradeoffs. There are several questions you will want to ask about each ad. First, ask about initial reactions. This will help you know if your ad will stand out. Next, ask about appeal, believability, relevance, and clarity. These questions will help you ensure your messaging is correct. You’ll also want to ask about likelihood to purchase. Finally, you can ask your respondents to give you their overall feedback in an open text field. You’ll want to break your report into two different sections – overall findings and individual ad results. Your overall findings will give you an indication of which ads had the best initial reactions and are the most likely to drive sales. Individual ad analysis will allow you to dive deeper into the details of each individual ad to identify any weak spots. If you have a lot of open-end comments, reviewing each comment one by one can be tedious and time consuming. 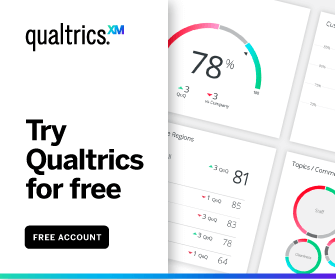 To make this process faster, a text analytics software like Qualtrics Text iQ can make quick work of your open text responses, allowing you to see both key topics and sentiment of your ads. 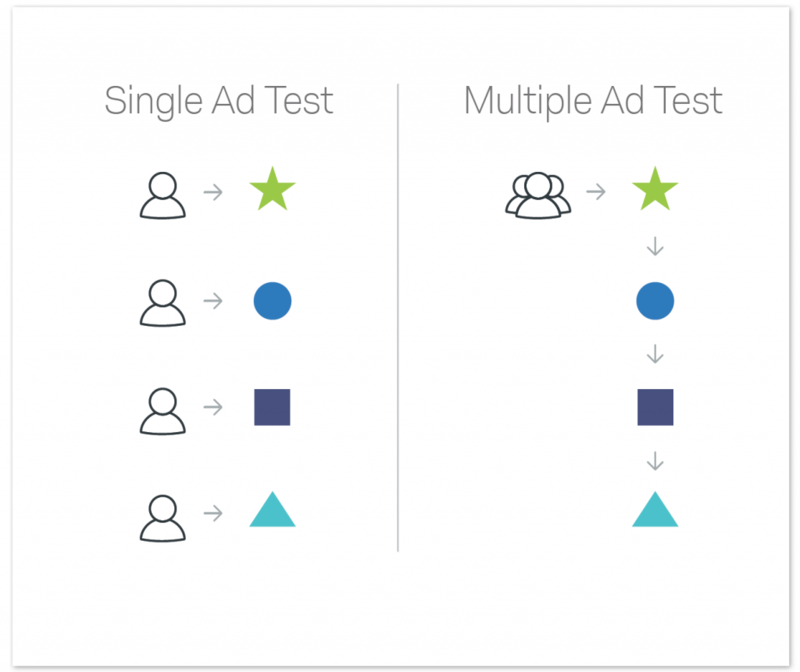 You can further hone your ad concept by iterating it through multiple rounds of testing, and tweaking it in response to what your audience is telling you. These iterative results are valuable in the longer-term too – they can help steer your creative team away from ideas that weren’t successful in testing and focus them on what works well for a given audience. Tests which gauge how effectively an ad performs on key communications metrics like Ad Recall, Service Attributes, and Communicating Benefits. Measures how effectively an ad changes perceptions and opinions through metrics like Persuasion, Personal Values, and Higher Order Values testing. Tests the success of campaigns intended to drive actions, such as purchasing, using Response and Ad Effectiveness tests. Advertising is a key part of your branding strategy. Learn how to track your brand awareness for optimum business outcomes.